There are various forms of fraud in the health care industry. This fraud has a substantial financial impact on the cost of providing healthcare. Money wasted on fraud will be unavailable for the diagnosis and treatment of legitimate illnesses. The rising costs of and the potential adverse affects on quality healthcare have encouraged organizations to institute measures for detecting fraud and intercepting erroneous payments. Current fraud detection approaches are largely reactive in nature. Fraud occurs, and various schemes are used to detect this fraud afterwards. Corrective action then is instituted to alleviate the consequences. This chapter presents a proactive approach to detection based on artificial intelligence methodology. In particular, we propose the use of data mining and classification rules to determine the existence or non-existence of fraud patterns in the available data. The chapter begins with an overview of the types of healthcare fraud. Next, there is a brief discussion of issues with the current fraud detection approaches. 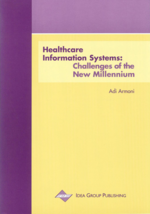 The chapter then develops information technology based approaches and illustrates how these technologies can improve current practice. Finally, there is a summary of the major findings and the implications for healthcare practice.